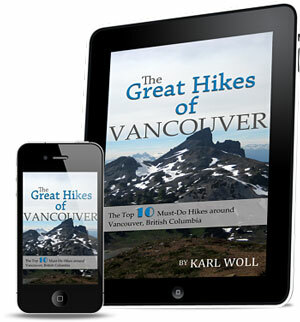 About the eBook: From stunning waterfalls to endless vistas, discover the BEST hiking Vancouver, B.C. has to offer. The Great Hikes of Vancouver includes a hand-picked selection of the top ten must-do hikes for your next adventure in Southwest British Columbia’s impressive wilderness. Covering hikes over a wide range difficulties and locations, these are the classics of Vancouver hiking. Having thoroughly explored the area’s vast hiking trails over the past decade, author Karl Woll brings an intimate knowledge of the hikes you don’t want to miss. Whether you’re visiting Vancouver for the weekend or a long-time resident, this guidebook will get you out enjoying the most rewarding hikes Vancouver has to offer. Hikes included are: Joffre Lakes, The Chief, Garibaldi Lake, Panorama Ridge, Crown Mountain, Norvan Falls, Coliseum Mountain, Mount Seymour, Sendero Diez Vistas and the Howe Sound Crest Trail (which cover St. Marks Summit, the Lions, Mount Brunswick, Deeks Lake, etc). About the author: Karl Woll, born and raised in Vancouver’s Lower Mainland, has been passionately exploring the area’s local mountains over the last decade. Beyond hiking, Karl fulfills his desire to be in the outdoors by kayaking, cycling, scuba diving, snowboarding, and most frequently, trail running in the same mountains highlighted in his eBooks. An avid runner, Karl spends most weekends exploring endless North Vancouver trails with his running shoes and a bottle full of coconut water. 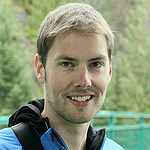 Karl also runs many of the local races, ranging from 10km to 50mile ultra running events.